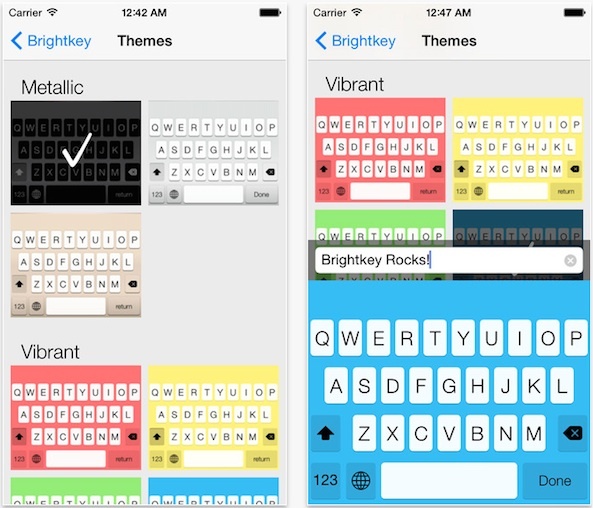 For the past two-and-a-half weeks, I’ve been checking out the top third-party keyboard apps for iOS 8. Hopefully, my first-look reviews have helped some of our readers to figure out which one is the perfect match for them. Maybe you’ve already tried them all yourself and don’t need my opinion. 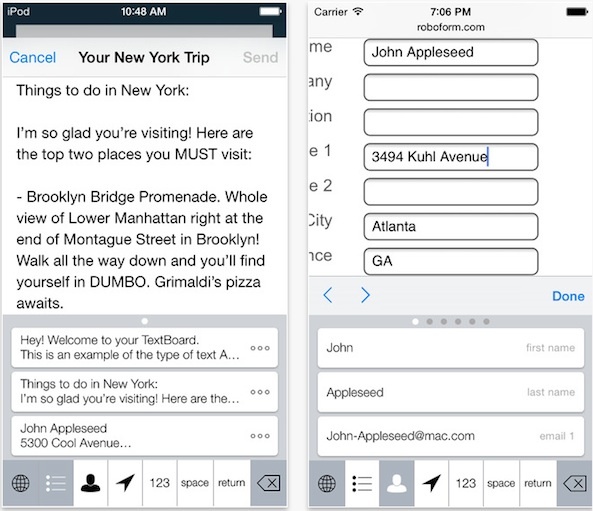 Today, we’ve got a round up of the best third-party keyboard apps that I’ve tried out so far. I’m sure there will be more to come, but this preliminary list should help you narrow down which keyboard suits your needs. Feel free to let us know which is your favorite in the comments section. 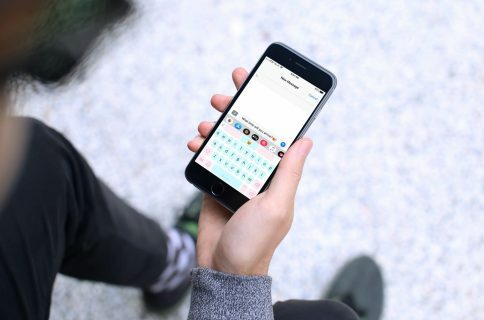 If you prefer your layout to be as similar to Apple’s stock keyboard as possible while still having a different look then this is your best bet. The keys are in all the right places, but you can choose from eight different colors. Plus, the nifty quick response feature makes it possible for you to send common phrases with one tap. My favorite feature is the spacebar cursor. Swipe your finger across the spacebar to the left or right to scroll through letters. This keyboard is available for free. 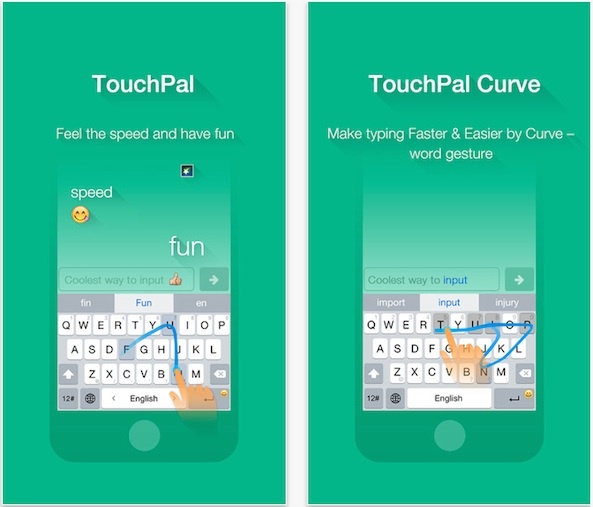 TouchPal is mainly a swiping keyboard, but also allows for tap typing. It includes predictive word suggestions and auto-correct, but does not display the word in a document until you hit the spacebar. The keyboard layout is familiar, but offers one nice advantage. Numbers are accessible right from the letter keypad and they are displayed on the face of each key. The best feature of this app is its extensive and very easy access to emoticons. It also includes eight brightly colored skins so you can have a different one every day. This keyboard is available for free. After testing more than half-a-dozen different types of keyboards, my favorite has to be Swype. 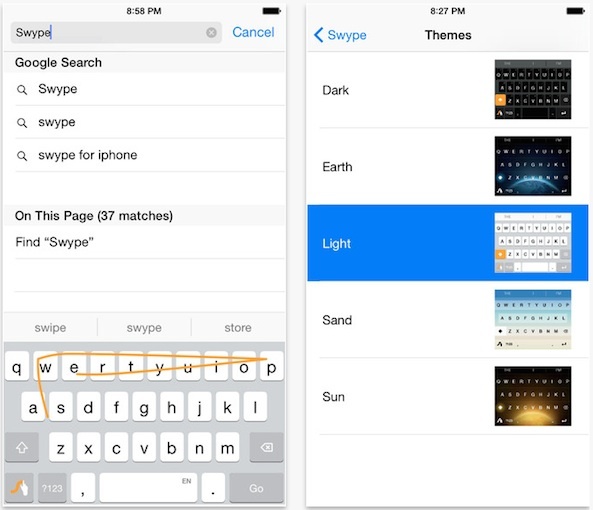 It has a smooth swipe-to-type option, but also allows for tap typing. The five different skins are more than just colors. They are images. The predictive word suggestion is incredible and the keyboard will remember new words in the future. The auto-correct works nearly perfectly every time. One especially nice feature is that you don’t have to allow full access for the keyboard to work on your device. Everything you do is stored locally. 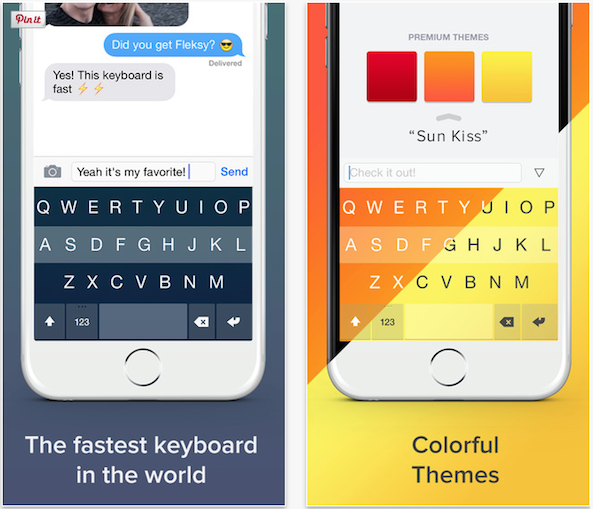 This keyboard is available for $0.99. 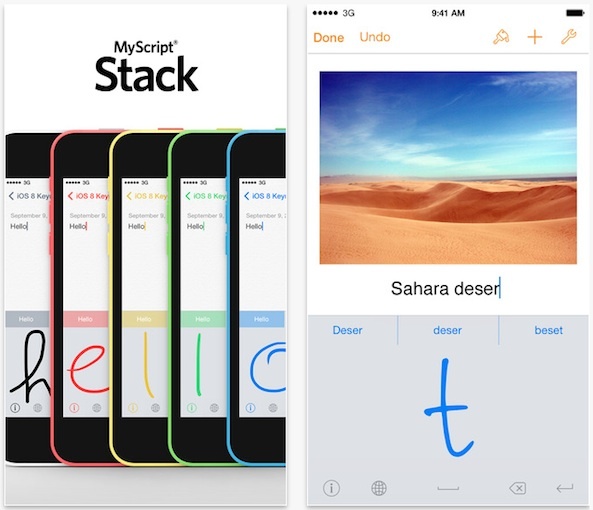 If handwriting is your game, then this app is where it is at. With it, you can literally handwrite all of your words. All you have to do is start scribbling on the blank board and this app will identify the letter and transfer it to the document. The auto-correct and predictive word suggestion will help you if your handwriting is terrible. You can also change the color of the “ink.” It definitely isn’t good for those looking to write quickly. Typing is just faster. However, it sure is fun to show off to your friends. This keyboard is available for free. This keyboard companion app makes it possible for you to prewrite what you want to say and then use the template to respond with one tap. In the app, fill out your TextBoards with standard text like, “Dear Mom, I need to borrow money again this month.” Then, open up a document you wish to type into, like email, and tap the template card. Everything in the TextBoard will appear in the document with one tap. You can also enter your personal information to use as quick fills for website forms. This keyboard is available for $1.99. If you prefer screen space to keyboard space, you will love this layout. The entire keyboard can be squished down to two rows, no joke. 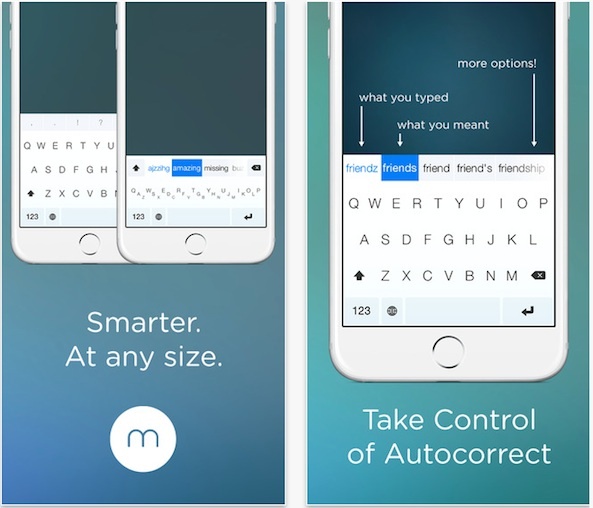 In order to offer such an amazing feature and still make it possible for people to actually type words, the developers worked painstakingly hard to deliver the absolute best auto-correct engine. It has, by far; the best auto-correct I’ve tested. When reduced to two rows, the app will figure out what word you are probably trying to type and even offer it up ahead of time with predictive suggestions. This keyboard is on sale for $1.99. 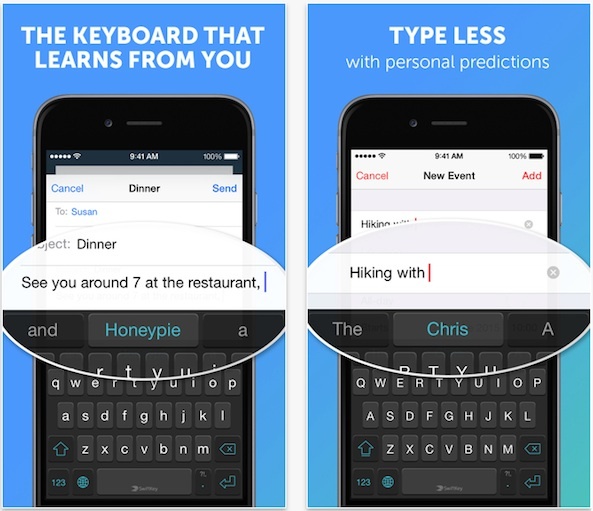 SwiftKey’s focus is on coming up with the most personalized predictive word suggestions possible. When you sign into the cloud feature and log into Facebook, the app will automatically recognize words you use regularly. 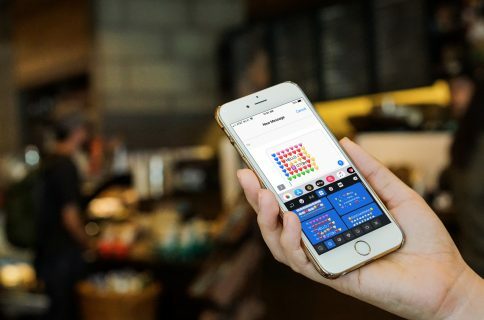 So, if you tend to use the phrase, “Let’s get drunk tonight,” a lot, the app will offer you that phrase as predictive word suggestions as soon as you type the letter “L.” Because it stores your typing habits in the cloud, you can use the app on multiple devices and it will work seamlessly across them all. This app is available for free. 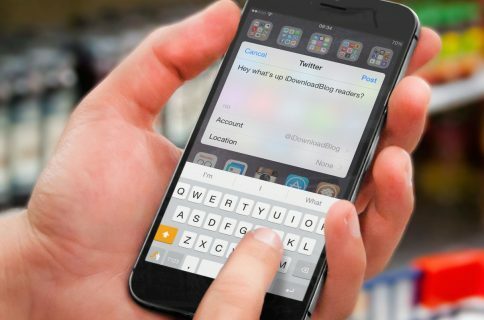 Take the tap out of typing and replace it with gestures and you’ll get Flesky. 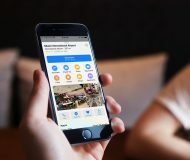 Thanks to the gesture-based features, the app has been recognized by Guinness as the world record holder for fastest touch-screen text messaging. You can swipe to space and swipe to delete words. You can also swipe up or down to switch between different predictive word options. Swipe with two fingers to minimize the screen. Switch between letters and numbers by holding down a key to get additional options. It comes with six bright colors and you can add six more with an in-app purchase. This app is available for $0.99.